It hurts for us to admit it, but not everyone loves ghosts, goblins, witches, and vampires. So why not add a fresh theme to your Halloween party, one that everyone can get behind? Food! 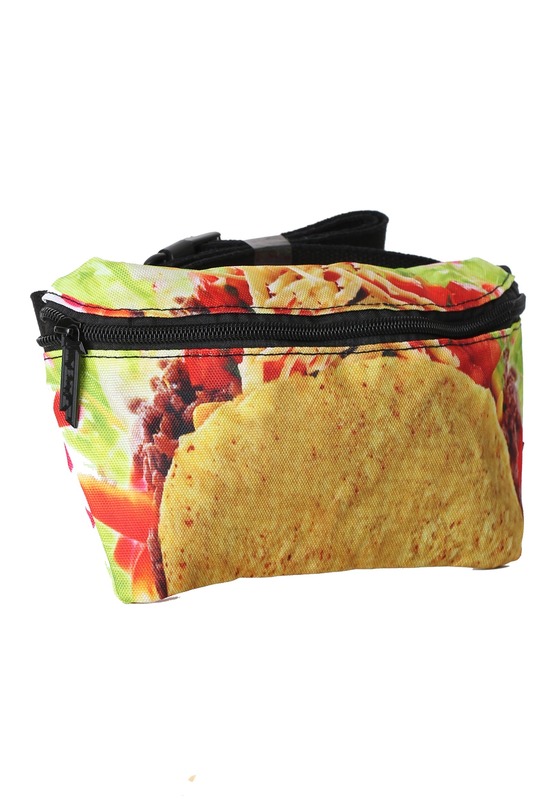 A food-themed party would be totally amusing, and you'd get to go decked out as your favorite delectable treat: a taco! Think about it: you'd answer the door to life-sized burgers, fries, avocados, and big ole' bunches of grapes. There will be sushi rolls and steaks chilling on your patio, and baked potatoes and pizza lining your halls! That sounds like the best party ever, as long as there's plenty of snacks on hand! 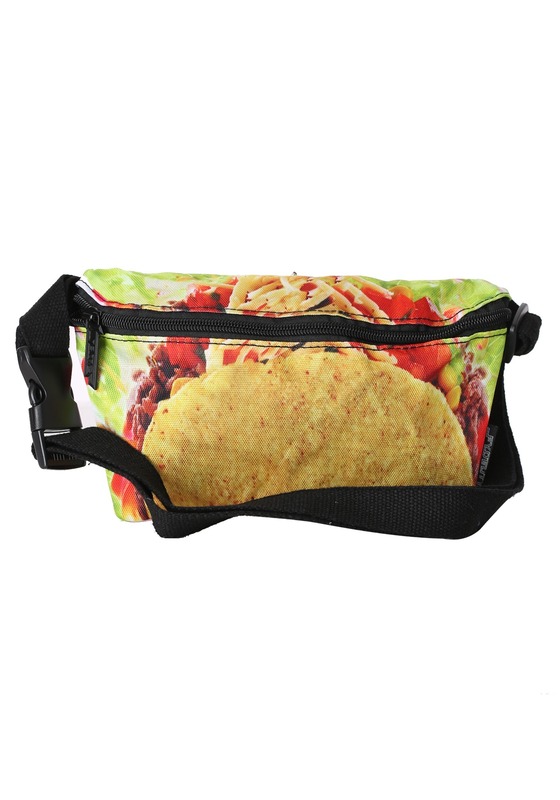 This Taco Print Fydelity Fanny Pack will complete your look and allow you to use your hands for better things than holding your phone—like shaking guests hands or snacking from the buffet! 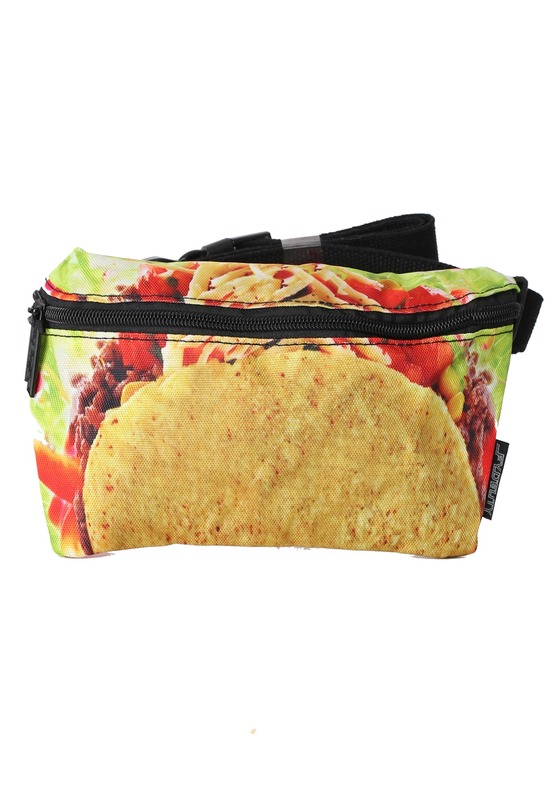 Lucky for you, this taco-themed hip tote doesn't have to be reserved just for Halloween! It is fresh, fun, and totally functional, too! It's made of canvas and secures at the waist with an adjustable strap. A front zipper keeps the pouch closed and your belongings secure, even as you bop around your party! If you have any pals coming to your party without a costume idea, you can team up for a group theme. After all, two tacos are better than one (who eats just one taco?) and everything is better with a side of guac to top it off! Have fun!